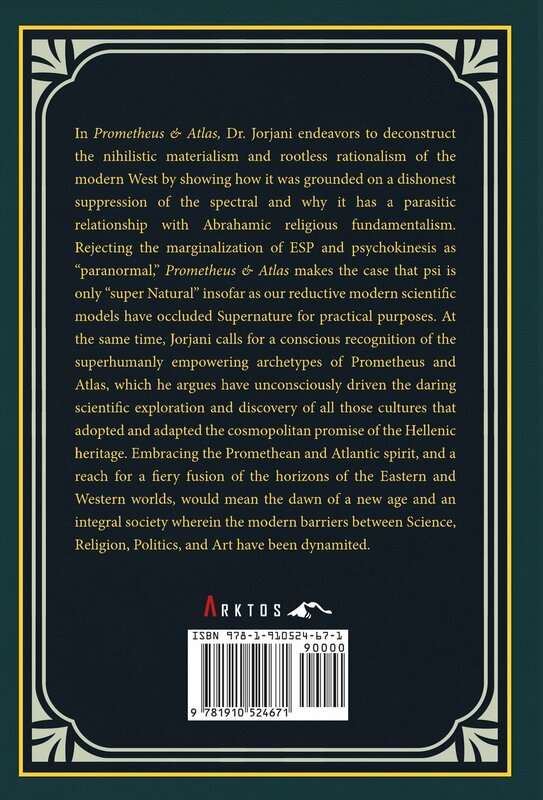 In Prometheus & Atlas, Dr. Jorjani endeavors to deconstruct the nihilistic materialism and rootless rationalism of the modern West by showing how it was grounded on a dishonest suppression of the spectral and why it has a parasitic relationship with Abrahamic religious fundamentalism. Rejecting the marginalization of ESP and psychokinesis as "paranormal," Prometheus & Atlas makes the case that psi is only "super Natural" insofar as our reductive modern scientific models have occluded Supernature for practical purposes. At the same time, Jorjani calls for a conscious recognition of the superhumanly empowering archetypes of Prometheus and Atlas, which he argues have unconsciously driven the daring scientific exploration and discovery of all those cultures that adopted and adapted the cosmopolitan promise of the Hellenic heritage. Embracing the Promethean and Atlantic spirit, and a reach for a fiery fusion of the horizons of the Eastern and Western worlds, would mean the dawn of a new age and an integral society wherein the modern barriers between Science, Religion, Politics, and Art have been dynamited. "Jason Jorjani's Prometheus & Atlas is what profound philosophical writing used to be but has long refused to be: visionary in its method and content, sweeping in its scope, literally mythical, and, above all, positive." 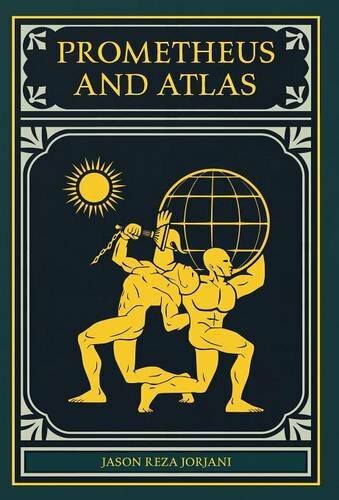 - Jeffrey J. Kripal, Professor of Philosophy and Religious Thought at Rice University "Prometheus & Atlas is the most brilliant treatise relating to parapsychological material that I have ever encountered... The range of scholarship required to make this argument is, in my estimation, nothing short of awesome. I don't think any other writer comes even close to tying things together the way Jorjani has done." - Jeffrey Mishlove, PhD, Host of Thinking Allowed and Dean of Programs in Transformational Psychology at the University of Philosophical Research Jason Reza Jorjani, PhD is a native New Yorker and Iranian-American of Persian and northern European descent. After receiving his BA and MA at New York University, he completed his doctorate in Philosophy at the State University of New York at Stony Brook. Jorjani currently teaches Science, Technology, and Society (STS) at the New Jersey Institute of Technology.